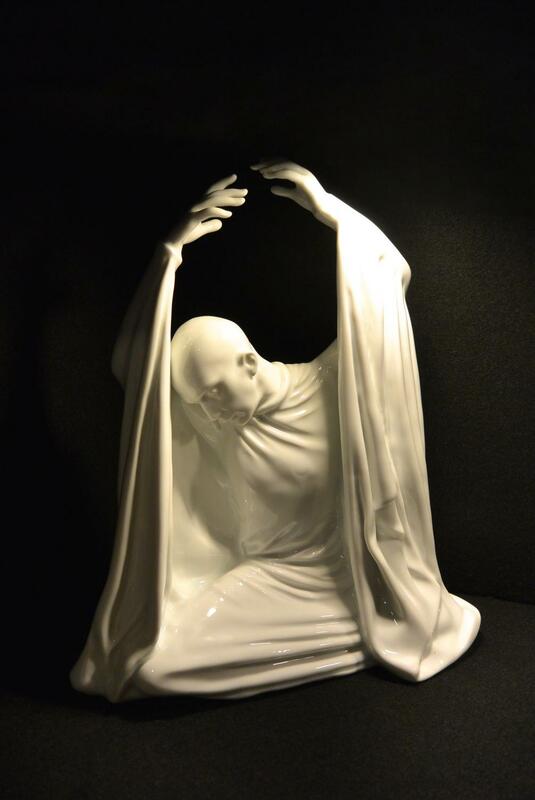 The designer of this uncolored white porcelain figure is Waldemar Fritsch. He made this figure of the famous German dancer and choreograph Harald Kreuzberg (1902-1968) while he was dancing “Nachtgesang” on the music of Johannes Brahms. It is signed with "W. Fritsch 51" and the Rosenthal mark in green, with the (form)number 1864.